In August, a petrochemical company with a plant in Saudi Arabia was hit by a new kind of cyberassault. The attack was not designed to simply destroy data or shut down the plant, investigators believe. It was meant to sabotage the firm’s operations and trigger an explosion. The attack was a dangerous escalation in international hacking, as faceless enemies demonstrated both the drive and the ability to inflict serious physical damage. And United States government officials, their allies and cybersecurity researchers worry that the culprits could replicate it in other countries, since thousands of industrial plants all over the world rely on the same American-engineered computer systems that were compromised. Investigators have been tight-lipped about the August attack. They still won’t identify the company or the country where it is based and have not identified the culprits. But the attackers were sophisticated and had plenty of time and resources, an indication that they were most likely supported by a government, according to more than a dozen people, including cybersecurity experts who have looked into the attack and asked not to be identified because of the confidentiality of the continuing investigation. The only thing that prevented an explosion was a mistake in the attackers’ computer code, the investigators said. The assault was the most alarming in a string of hacking attacks on petrochemical plants in Saudi Arabia. In January 2017, computers went dark at the National Industrialization Company, Tasnee for short, which is one of the few privately owned Saudi petrochemical companies. Computers also crashed 15 miles away at Sadara Chemical Company, a joint venture between the oil and chemical giants Saudi Aramco and Dow Chemical. Within minutes of the attack at Tasnee, the hard drives inside the company’s computers were destroyed and their data wiped clean, replaced with an image of Alan Kurdi, the small Syrian child who drowned off the coast of Turkey during his family’s attempt to flee that country’s civil war. The intent of the January attacks, Tasnee officials and researchers at the security company Symantec believe, was to inflict lasting damage on the petrochemical companies and send a political message. Recovery took months. Energy experts said the August attack could have been an attempt to complicate Crown Prince Mohammed bin Salman’s plans to encourage foreign and domestic private investment to diversify the Saudi economy and produce jobs for the country’s growing youth population. “Not only is it an attack on the private sector, which is being touted to help promote growth in the Saudi economy, but it is also focused on the petrochemical sector, which is a core part of the Saudi economy,” said Amy Myers Jaffe, an expert on Middle East energy at the Council on Foreign Relations. Saudi Arabia has cut oil exports in recent years to support global oil prices, a strategy central to its efforts to make a potential public offering of shares of government-controlled Saudi Aramco more attractive to international investors. The kingdom has tried to compensate for its lost revenue by expanding its petrochemical and refining industry. 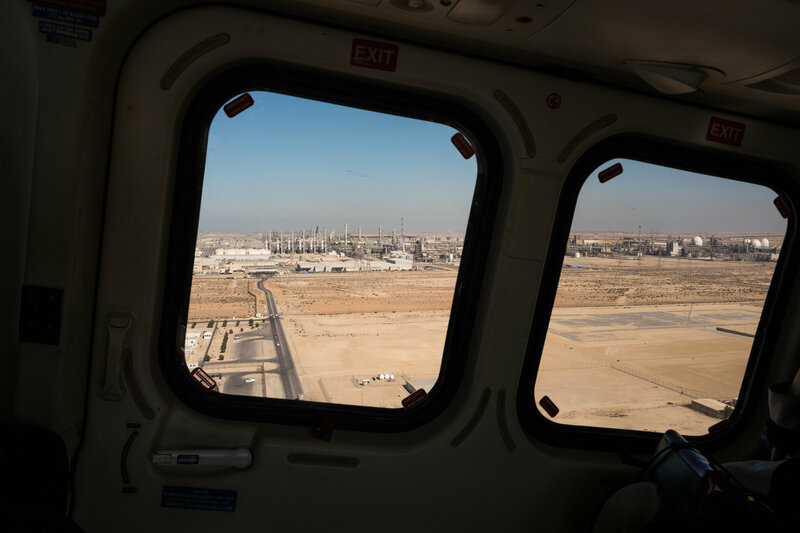 Some technical details of the attack in August have been previously reported, but this is the first time the earlier attacks on Tasnee and other Saudi petrochemical companies have been reported. Security analysts at Mandiant, a division of the security firm FireEye, are still investigating what happened in August, with the help of several companies in the United States that investigate cyberattacks on industrial control systems. A team at Schneider Electric, which made the industrial systems that were targeted, called Triconex safety controllers, is also looking into the attack, the people who spoke to The Times said. So are the National Security Agency, the F.B.I., the Department of Homeland Security and the Pentagon’s Defense Advanced Research Projects Agency, which has been supporting research into forensic tools designed to assist hacking investigations. All of the investigators believe the attack was most likely intended to cause an explosion that would have killed people. In the last few years, explosions at petrochemical plants in China and Mexico — though not triggered by hackers — have killed several employees, injured hundreds and forced evacuations of surrounding communities. What worries investigators and intelligence analysts the most is that the attackers compromised Schneider’s Triconex controllers, which keep equipment operating safely by performing tasks like regulating voltage, pressure and temperatures. Those controllers are used in about 18,000 plants around the world, including nuclear and water treatment facilities, oil and gas refineries, and chemical plants. “If attackers developed a technique against Schneider equipment in Saudi Arabia, they could very well deploy the same technique here in the United States,” said James A. Lewis, a cybersecurity expert at the Center for Strategic and International Studies, a Washington think tank. The Triconex system was believed to be a “lock and key operation.” In other words, the safety controllers could be tweaked or dismantled only with physical contact. So how did the hackers get in? Investigators found an odd digital file in a computer at an engineering workstation that looked like a legitimate part of the Schneider controllers but was designed to sabotage the system. Investigators will not say how it got there, but they do not believe it was an inside job. This was the first time these systems were sabotaged remotely. Investigators believe that the hackers have probably fixed their mistake by now, and that it is only a matter of time before they deploy the same technique against another industrial control system. A different group could also use those tools for its own attack. The August attack was also a significant step up from earlier attacks in Saudi Arabia. Starting on Nov. 17, 2016, computer screens at a number of Saudi government computers went dark and their hard drives were erased, according to researchers at Symantec, which investigated the attacks. Two weeks later, the same attackers hit other Saudi targets with the same computer virus. On Jan. 23, 2017, they struck again, at Tasnee and other petrochemical firms, deploying a computer virus known as Shamoon, after a word embedded in its code. The Shamoon virus first surfaced five years earlier at Saudi Aramco, wiping out tens of thousands of computers and replacing the data with a partial image of a burning American flag. Leon E. Panetta, the United States defense secretary at the time, said the attack could be a harbinger. “An aggressor nation or extremist group could use these kinds of cyber tools to gain control of critical switches,” he said. Government officials and cybersecurity experts in Saudi Arabia and the United States attributed the 2012 Shamoon attack to Iranian hackers. The attack in August was not a Shamoon attack. It was much more dangerous. Investigators believe a nation-state was responsible because there was no obvious profit motive, even though the attack would have required significant financial resources. And the computer code had not been seen in any earlier assaults. Every hacking tool had been custom built. The attackers not only had to figure out how to get into that system, they had to understand its design well enough to know the layout of the facility — what pipes went where and which valves to turn in order to trigger an explosion. Investigators believe someone would have had to buy the same version of the Triconex safety system to figure out how it worked. The components, investigators said, could be purchased for $40,000 on eBay. The attack has also shown the challenge of attributing with unquestionable evidence an attack to one country. Security experts said Iran, China, Russia the United States and Israel had the technical sophistication to launch such attacks. But most of those countries had no motivation to do so. China and Russia are increasingly making energy deals with Saudi Arabia, and Israel and the United States have moved to cooperate with the kingdom against Iran. That leaves Iran, which experts said had a growing military hacking program, although the Iranian government has denied any involvement in such attacks. Tensions between Iran and Saudi Arabia have steadily escalated in recent years, and the conflict has drifted online. United States officials and security analysts blamed Iranian hackers for a spate of attacks on American banks in 2012 and more recent espionage attacks on the airline industry. Iranian hackers were blamed for the 2012 Aramco attack and are also the leading suspects in the more recent Shamoon attacks. The August attack was far more sophisticated than any previous attack originating from Iran, Mr. Thakur of Symantec said, but there is a chance Iran could have improved its hacking abilities or worked with another country, like Russia or North Korea. Tasnee said in an email that it had hired experts from Symantec and IBM to study the attack against it. The company said it had also “completely overhauled our security standards” and started using new tools to prevent attacks. Follow Nicole Perlroth and Clifford Krauss on Twitter: @nicoleperlroth and @ckrausss. Prononcez approximativement « Crisper Case 9 » ce nouvel acronyme qui s’écrit officiellement CRISPR-Cas9 (1). En tout cas, retenez ce nom qui, régulièrement, donne lieu à des articles dans la presse professionnelle mais aussi grand public et continuera à alimenter les magazines. Au cours du séminaire Bioporc qui s’est déroulé à Rennes en décembre dernier, Alain Ducos, professeur à l’École vétérinaire de Toulouse, a présenté cette méthode de génie génétique « dont toute la communauté scientifique parle ». Elle permettrait de modifier, supprimer ou remplacer un gène des cellules animales ou végétales de façon précise, rapide et relativement peu coûteuse. Avec d’incroyables perspectives chez l’homme et chez l’animal mais avec aussi des questions éthiques, économiques et réglementaires en suspens. Les applications potentielles de ce nouvel outil de génie génétique sont considérables : des applications biomédicales en particulier dans le traitement des maladies génétiques orphelines, des animaux modifiés tels que des moustiques qui ne pourraient plus transmettre le paludisme, et, bien entendu, des applications dans le domaine de la sélection des animaux d’élevage. Alain Ducos, professeur à l’ENVT n’a pas dissimulé son enthousiasme – mais aussi ses réserves – sur cette technique qu’il a qualifié d’emblée de révolutionnaire. Pour schématiser, elle consiste à utiliser une enzyme bactérienne et un « dispositif de guidage », le Cas9. Celui-ci détecte la zone d’ADN où « intervenir », et l’enzyme va « couper » les deux brins qui constituent l’ADN à l’endroit précis recherché, par exemple une séquence à l’origine de maladies orphelines, d’une sensibilité aux maladies, etc. La technique permet aussi de « réparer » une anomalie en incluant une séquence d’ARN manquante (voir schéma). Voilà qui explique que la méthode ait pu être baptisée le « couteau suisse de la génétique » dans les magazines grand public. En soi, la méthode n’est pas totalement nouvelle puisque dès les années 2000 les chercheurs étaient parvenus à produire des cellules transgéniques par micro-injection. Ce qui change c’est l’incroyable progrès qu’a apporté ce Cas9 dans la technique : plus rapide, bien plus précise et moins coûteuse que ses « ancêtres », elle offre des perspectives d’applications innombrables. « Tout étudiant en biologie de niveau Master qui dispose des équipements standards d’un laboratoire est à même de manipuler le système Crispr-Cas9 pour modifier un gène », annonce Emmanuelle Charpentier, qui n’est autre que la chercheuse française qui, avec l’américaine Jennifer Doudna, a découvert la technique en 2012. La découverte ne se limite plus aux recherches fondamentales mais va trouver très vite des applications pratiques. Elle va permettre de transférer un allèle d’intérêt existant dans une population (une race, une lignée), vers une autre population. Des chercheurs (2) sont ainsi parvenus à obtenir des porcs résistants à la souche américaine du virus du SDRP en inactivant un gène précis. 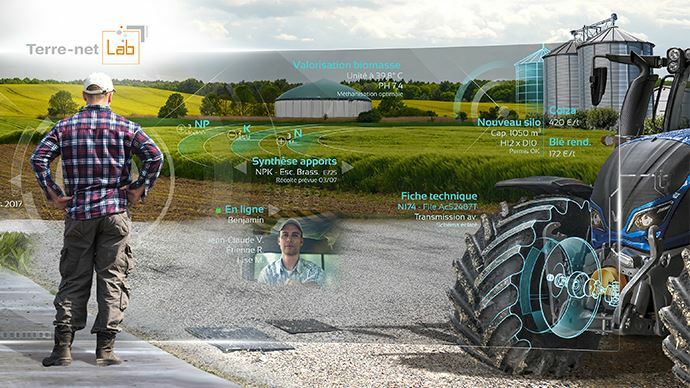 Avec évidemment des perspectives commerciales qui n’auraient pas échappé à un des leaders mondiaux de la génétique porcine, à savoir PIC selon certains observateurs… Cette firme a-t-elle déjà introduit la technique dans ses outils de sélection ? Impossible de le vérifier. OGM ou non OGM ? Et c’est là une des questions majeures que pose cette manipulation génétique : les animaux qui en sont issus sont-ils considérés comme des OGM ? La question fait largement débat dans le monde entier. Alain Ducos rappelle la définition officielle (directive UE 2001/18) : « Un OGM est un organisme, à l’exception des êtres humains, dont le matériel génétique a été modifié d’une manière qui ne s’effectue pas naturellement par multiplication et/ou par recombinaison naturelle ». Les défenseurs de Criprs-Cas9 argumentent sur le fait que, précisément la technique permet de reproduire des modifications apparues naturellement… Par ailleurs, les modifications du génome ainsi obtenues sont quasiment indétectables. Alors comment réglementer ? Bref, autant de questions « d’ordre éthique, réglementaire, économique et stratégique », comme le souligne le chercheur qui, en tout état de cause, confirme que des sommes considérables sont aujourd’hui investies dans la recherche sur ce sujet, dans le monde entier. Enfin, les deux chercheuses ayant découvert cette technique, actuellement en procédure judiciaire aux États-Unis pour faire valoir leurs droits (et un brevet ?) sont pressenties pour recevoir un futur prix Nobel. - des poules ne produisant plus de protéines allergisantes dans les œufs. Et bien entendu, la liste n’est pas exhaustive et les recherches se poursuivent partout dans le monde, donnant lieu à de multiples publications scientifiques. Une expérience simulant les conditions sur Mars a démontré que les fameux tubercules peuvent prospérer même dans les rudes conditions semblables à celles trouvées sur la planète rouge. Deux ans après la fructueuse tentative de Matt Damon dans « The Martian », les scientifiques ont découvert que la stratégie de l’astronaute fictif (Mark Watney) pour survivre sur la planète rouge pourrait réellement fonctionner. Au début de l’année dernière, une pomme de terre a été plantée dans le sol récupéré du désert de Pampas de La Joya, au Pérou, qui présente “les sols les plus semblables à Mars trouvés sur Terre”, selon le scientifique Chris McKay de la NASA. L’expérience, parrainée par le Centre international de la pomme de terre (CIP), a eu lieu dans un CubeSat construit par l’Université d’ingénierie et de technologie du Pérou (UTEC) avec des conseils du Centre de recherche Ames de la NASA. Si les cultures peuvent tolérer les conditions extrêmes auxquelles nous les exposons dans notre CubeSat, elles ont de bonnes chances de croitre sur Mars. Un live vidéo en direct du CubeSat, au Centre international de la pomme de terre à Lima, au Pérou, montre la pomme de terre en fleurs, donnant l’espoir à la fois aux futurs astronautes et aux Terriens souffrant de malnutrition. Cette recherche pourrait avoir un avantage technologique et biologique direct sur Terre. En 2015, environ 795 millions de personnes souffraient de malnutrition dans le monde. Bien que cela représente une baisse par rapport aux années précédentes, l’Organisation des Nations Unies pour l’alimentation et l’agriculture (FAO) indique qu’elle considère le changement climatique comme une menace majeure pour les progrès futurs. La pommes de terre est une candidate idéale pour nourrir un monde plus chaud, plus populeux. Polyvalente et nutritive, la pomme de terre est déjà la plus populaire des cultures vivrières non céréalières au monde et se classent dans le “niveau supérieur” des cultures que les chercheurs espèrent assurer la sécurité alimentaire à l’avenir. Le Centre international de la pomme de terre documente plus de 4 000 variétés de pommes de terre comestibles, capables de croitre partout et, espérons-le, dans une installation climatisée sur Mars. Lorsque l’expérience “Potatoes on Mars” a commencé, les chercheurs ne savaient pas à quoi s’attendre et si le sol martien ne pouvait aider à la culture de la pomme de terre, il y avait encore la possibilité de la cultiver sans sol, en hydroponie et en aéroponies. La NASA affirme que les plantes cultivées dans des vaisseaux spatiaux pourraient améliorer le goût et la nutrition du régime alimentaire des astronautes. Mais avec une pomme de terre capable de croitre dans le sol martien simulé, les résultats de cette expérience, et les tests de suivi, sont également susceptibles d’aider les agriculteurs sur Terre. 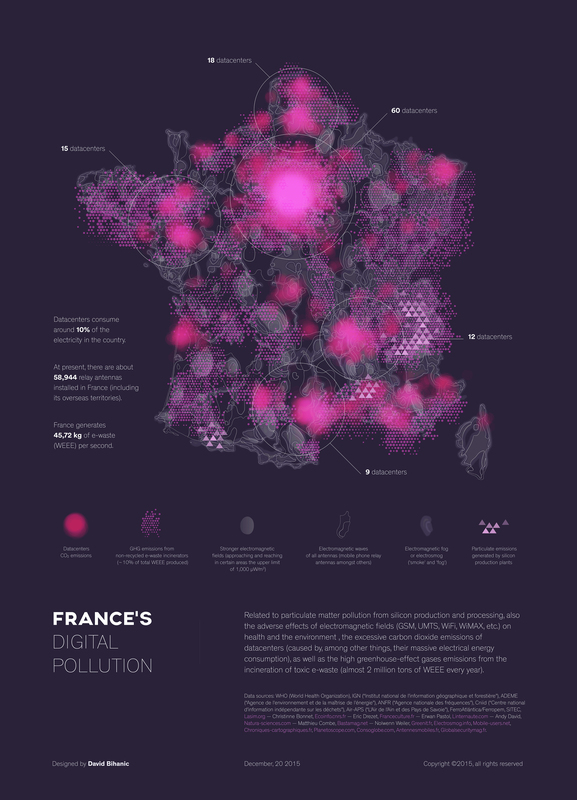 les résultats indiquent que nos efforts pour élever des variétés à fort potentiel afin de renforcer de la sécurité alimentaire, dans les zones touchées ou qui seront affecté par le changement climatique, fonctionnement. L’annonce sur le site du CIP : Indicators show potatoes can grow on Mars. Biotechnologie : modifier le génome est maintenant rapide, précis et bon marché grâce à « CRISPR ». Pourquoi est-ce une révolution ? CRISPR est une biotechnologie qui permet de supprimer et/ou ajouter et/ou désactiver un gène dans l’ADN de n’importe quelle cellule de n’importe quel organisme, que ce soit une plante, un vers de terre, un lapin ou un humain. Cette technologie reproduit et perfectionne la capacité du système immunitaire de certaines bactéries à reconnaître et neutraliser certains gènes chez des virus les attaquant. Pouvoir supprimer et/ou ajouter un gène dans l’ADN d’un organisme n’est pas nouveau en soi. La nature le fait déjà par le biais des mutations naturelles, c’est ce qui nous a permis de passer du petit rongeur à l’homme, entre autres merveilles. L’homme le fait aussi depuis des lustres indirectement via la reproduction sélective des plantes et animaux, et plus récemment et directement, en laboratoire avec les OGM. Ce qui est nouveau : CRISPR est bien plus rapide, précis, fiable et économique que toutes les méthodes utilisées jusque là. C’est ce qui en fait une véritable révolution ! En gros, CRISPR donne la possibilité d’éditer très facilement le génome d’un individu au sein d’une espèce. Ce qui prenait un an avec les anciennes méthodes prend maintenant quelques semaines. 30 millions de personnes dans le monde souffrent d’une des 6000 maladies génétiques identifiées à ce jour. 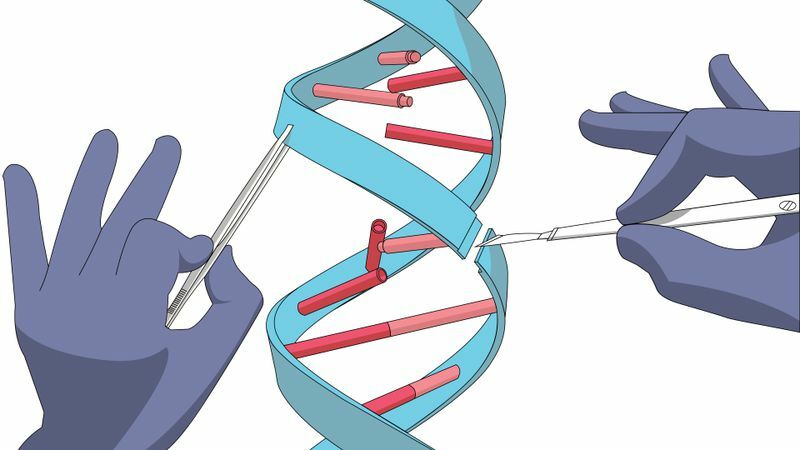 CRISPR offre, entre autres, l’espoir de les guérir. Un enjeu pour la recherche est de savoir si l’on peut modifier les cellules reproductives, au-delà des cellules non-reproductives. Modifier des gènes au sein de cellules non-reproductives permettrait de guérir l’individu sans que ces mutations puissent être transmises aux enfants. À la différence des modifications des gènes des cellules reproductives. C’est le dernier cas qui est le plus sensible au niveau éthique. Mettre au point des OGMs encore plus adaptés à nos besoins et contraintes, et plus écologiques : des plantes nécessitant moins d’eau, moins de pesticides, moins d’engrais, plus résistantes à la sécheresse, aux insectes et au sel, croissant plus vite et produisant de plus gros grains. Faire de la recherche fondamentale sur ces cellules humaines en laboratoire : pour comprendre quel gène sert à quoi par exemple, et sans jamais chercher à produire un embryon viable ou à modifier directement un être humain. Essais cliniques en vue de modifier les cellules non-reproductives d’un être humain : ce sont les fameuses thérapies géniques devant permettre de guérir cancer, sida, ainsi que les maladies génétiques. Ces modifications de l’ADN n’encourent pas le risque d’être transmis aux enfants et suscitent donc moins le débat. Scientists can now genetically engineer humans. A big new report asks whether we should. Gotta love that designer baby stock art. 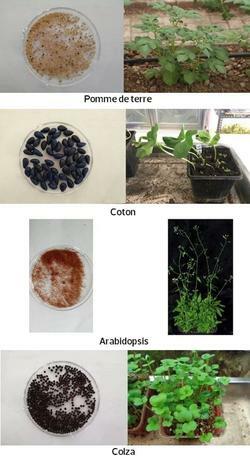 Biotechnology has advanced so rapidly over the past few years that scientists can now edit the genomes of plants and animals with ever-increasing precision. Using new techniques like CRISPR/Cas9, researchers have already shown they can alter genes to create hornless cattle or mushrooms that don’t brown easily. But the really big question — the stuff of sci-fi — is whether we’ll use genome-editing tools on people to wipe out heritable diseases or to enhance human capabilities. It’s no longer a question of whether we’ll be able to create “designer babies”: The technology is improving at a stunning pace. Instead, it’s a question of whether we should. It’s an ethics question, a policy question. On Tuesday, the influential National Academy of Sciences released a 261-page report on this issue, titled “Human Genome Editing: Science, Ethics, and Governance.” It’s one of the most thorough looks yet at what’s likely to be possible with new genome-editing techniques — and why scientists should tread carefully. The report’s recommendations are eyebrow-raising: In very, very limited cases, editing of viable human embryos should be allowed to go forward in the United States — a conclusion that’s certain to prove controversial. In particular, the report argues, clinical trials to edit human sperm, eggs, and embryos should be permissible in cases where there’s a high chance of preventing babies from being born with serious genetic diseases and no “reasonable alternatives” exist. By contrast, the panel says editing embryos for human enhancement — say, making people stronger or more intelligent — should absolutely not proceed in the United States until there’s much broader society-wide discussion of the thorny ethics involved, like the risks of exacerbating the gap between rich and poor. The report is an in-depth discussion of the issues at play here, so let’s dig in. 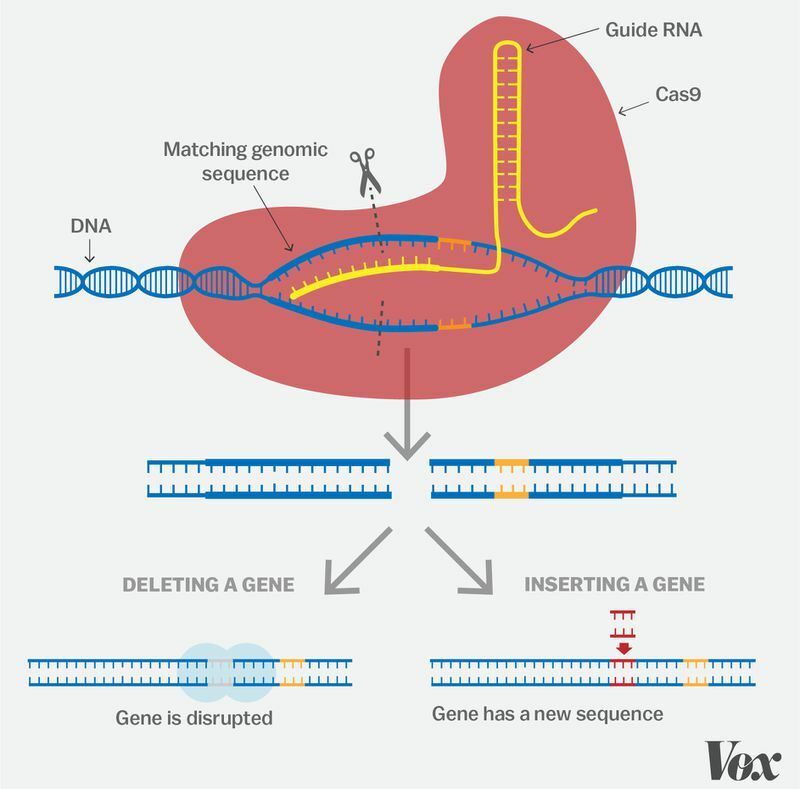 A basic guide to how CRISPR works. 1) Basic research on human cells in a lab. This one’s straightforward. A scientist takes cultures of human cells and uses, say, TALEN or CRISPR to tinker with the genetic code to figure out how our molecular processes actually work — or better understand what our genes do. 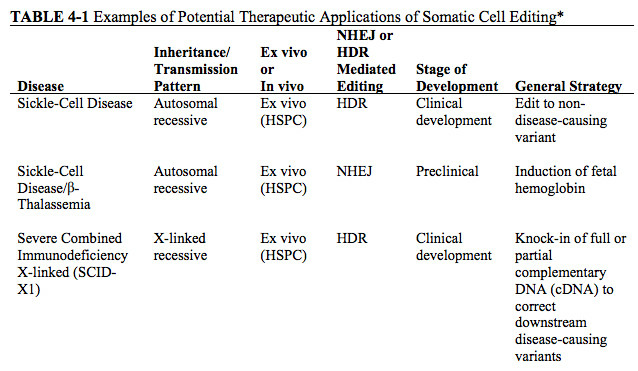 Scientists might edit “somatic” cells (nonreproductive cell types like skin or liver cells) or “germline” cells (eggs or sperm). But these experiments would never produce viable embryos or modify living human beings. This is basic, essential research that’s not much different from what’s been going on for decades, and the report argues that existing guidelines should be sufficient to govern these practices. Nothing too contentious here. The panel argues that there aren’t any hugely troubling ethical issues here, since this involves altering somatic (i.e., nonreproductive) cells, and the altered traits can’t be passed on to offspring. The panel does, however, urge caution. Genome-editing techniques still aren’t perfect, and they can sometimes misfire, leading to random mutations or other “off-target” effects in the edited cells. What’s more, no one’s yet been able to develop clear safety standards around what misfires are acceptable. So, the report says, regulators at NIH will need to scrutinize proposals for gene therapy trials on a case-by-case basis. In general, it’s safest to take a cell out of a patient and edit it (known as “ex vivo” treatment), because researchers can more easily check for off-target effects. By contrast, there are still plenty of technical challenges involved in editing cells directly inside a human body (“in vivo” treatment). 3) Editing sperm, eggs, and embryos to stop inheritable diseases. Okay, now we’re getting to the controversial stuff. It’s one thing to edit an adult’s immune cells. If anything goes awry, the effects won’t be passed on. It’s another matter entirely to edit sperm, eggs, or embryos (known as the “germline”) and create genetic changes that can be passed down from generation to generation. Now we’re no longer talking about editing a single human. We’re talking about editing humanity. 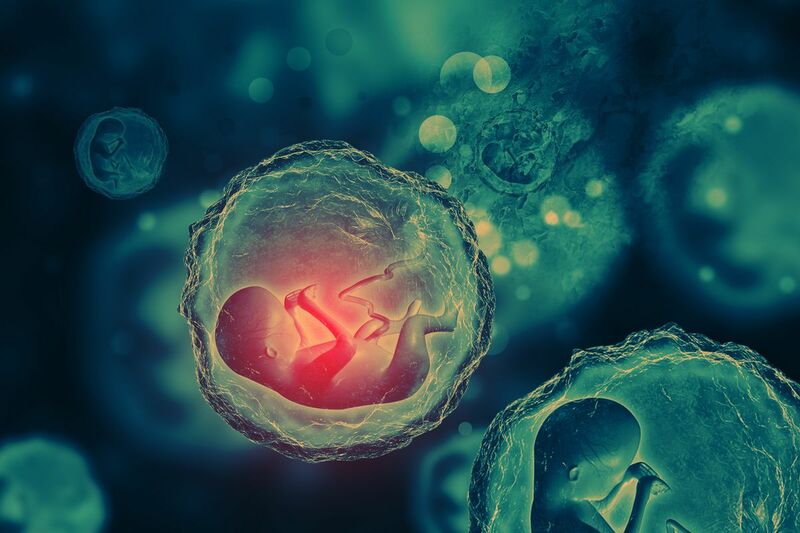 For now, the FDA and NIH are barred from approving research on editing human embryos, because of the potentially fraught social and ethical concerns involved. But other countries, like China and the United Kingdom, are moving forward with embryo editing, and interest is certain to grow. There are thousands of inheritable diseases caused by mutations to a single gene (like Huntington’s). For many families, genome-editing may be the only way to prevent kids from being born with certain conditions. 4) Editing the human genome for “enhancement.” Of course, if scientists could one day edit viable embryos to eliminate diseases, they could also conceivably edit embryos for enhancement. Stronger babies. Smarter babies. Babies born only with blue eyes. Gattacaterritory, basically. Suffice to say, this report doesn’t have all the answers for what’s okay and what’s not around human genome-editing — and it would be ridiculous to expect as much. This is a complex debate that will persist for decades. In our view, genome editing in human embryos using current technologies could have unpredictable effects on future generations. This makes it dangerous and ethically unacceptable. Such research could be exploited for non-therapeutic modifications. We are concerned that a public outcry about such an ethical breach could hinder a promising area of therapeutic development, namely making genetic changes that cannot be inherited. We need only one compelling argument to initiate a new social norm — even when the market is small (as for orphan drugs). For germline modification, we have at least three compelling cases: 1) mitochondrial diseases; 2) families in which post-natal remedies are inadequate and both parents are fully afflicted (20 percent of the world’s marriages involve close relatives); and 3) scenarios in which treating (and possibly pre-screening) single germ cells is safer than treating millions of somatic cells, since each cell adds to the collective risk of developing cancer. In that same piece, NIH director Francis Collins is much more worried about the potentially risky side effects of human germline editing; you should read their entire exchange. This new report is hardly going to be the last word on this debate, but the NAS tends to be influential in guiding US government policy, and it’s nudged the discussion significantly in the direction of allowing designer babies — even in limited cases. While designer babies get all the attention, there are tons of cool things CRISPR can do that have nothing to do with editing humans. Here’s a list of a few. Le MIT livre sa dernière expérience : celle d’une ruche synthétique. Objectif : faire prospérer les abeilles dans un univers contrôlé pour mieux comprendre notre écosystème et tenter de le préserver. Les images, presque chirurgicales, ont de quoi effrayer, tant elles font écho à l’élevage industriel, aseptisé, que nous propose le futur. Pourtant, derrière ces images futuristes, se cache un projet noble. Synthetic Apiary explore la possibilité d’une ruche dans un environnement contrôlé afin que les abeilles puissent prospérer toute l’année : la lumière, l’humidité et la température ont été pensées afin de simuler une atmosphère de printemps perpétuel. L’espace vierge vise à accueillir des abeilles, nourries avec du pollen de synthèse et de l’eau sucrée : leur santé et leur bien-être est soumis régulièrement à des tests de contrôle. Un espace artificiel où cohabitent l’insecte et l’homme et qui ouvre de nombreuses possibilités quant à l’étude des comportements et capacités d’adaptation de l’animal dans un espace biologiquement augmenté. Comme indique une video diffusée par le MIT, de nombreuses naissances ont eu lieu dans cet environnement synthétique : pour les chercheurs cela indique qu’ils ont réussi à combiner la température, l’humidité, la lumière et la nutrition… A l’heure où les abeilles disparaissent, de par les produits chimiques agricoles, la maladie ou la perte d’habitat, penser à des environnements non standards est devenu un facteur important pour leur survie, et pour la nôtre. Car, si l’homme a beaucoup à apprendre des capacités d’adaptation de l’abeille, il ne doit jamais oublier que son destin dépend de celui de l’insecte de par son poids sur notre agriculture. Les abeilles ont un rôle essentiel en termes de préservation de la biodiversité. Ce sont des insectes pollinisateurs, c’est à dire qu’elles transportent le pollen (élément mâle) des fleurs qu’elles butinent sur le pistil d’autres fleurs (éléments femelle), ce qui permet la fécondation et la reproduction des espèces végétales. L’activité de pollinisation des abeilles est essentielle à l’agriculture : la majorité des cultures fruitières, légumières, oléagineuses et protéagineuses, de fruits à coques, d’épices, du café et du cacao bénéficient de l’activité pollinisatrice des insectes. Synthetic Apiary from Mediated Matter Group on Vimeo. Apple s’intéresse de près aux battements de cœur de ses utilisateurs. La firme vient de déposer un brevet qui leur permettrait de déverrouiller leur smartphone en le prenant simplement dans les mains. Nous sommes encore loin de l’implant ou la puce RFID (quoique…), toujours est-il que les grandes firmes ne se contentent plus de recueillir les données physiologiques de leurs utilisateurs en vue d’optimiser leurs performances (quantified-self). Ces données pourraient s’avérer très utiles pour sécuriser les différents device. Plus besoin de taper son code à huit chiffres, d’avoir recours à un système d’eye-tracking ou de laisser son empreinte digitale,… les simples battements cardiaques de l’utilisateur perçus activeraient les différents systèmes. Apple vient de déposer un brevet en ce sens. La marque y détaille un processus qui permettrait de mesurer la teneur en oxygène dans le sang. Un système d’émetteurs lumineux et de capteurs qui permettrait de capturer les données physiologiques et de les comparer aux datas mémorisées et associées à une identité d’utilisateur. Selon Apple, chaque système vasculaire aurait des caractéristiques propres permettant de nous identifier. Ainsi plus de frontières homme/ machine, le device devient un extension du corps humain.